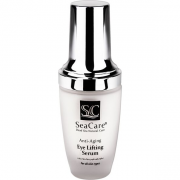 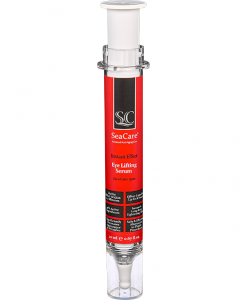 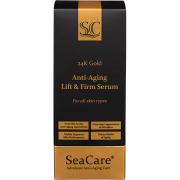 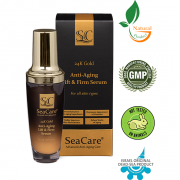 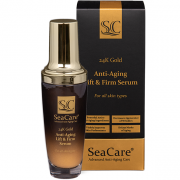 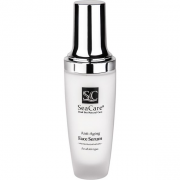 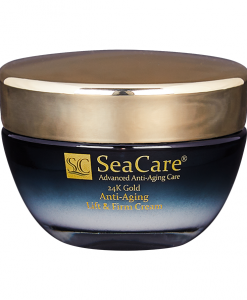 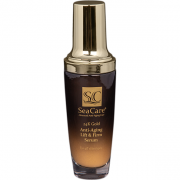 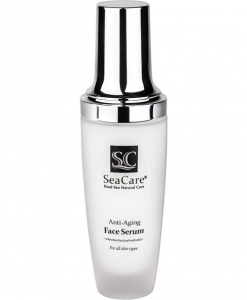 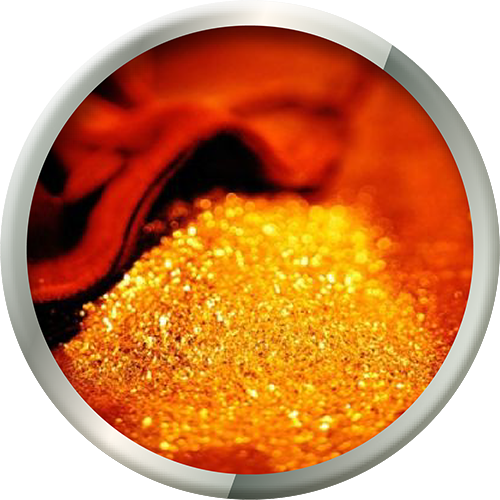 SeaCare 24K Gold Anti-Aging Lift & Firm Face Serum is developed to visibly improve skin performance in terms of radiance, elasticity, firmness, moisture level and the overall appearance of micro-wrinkles. 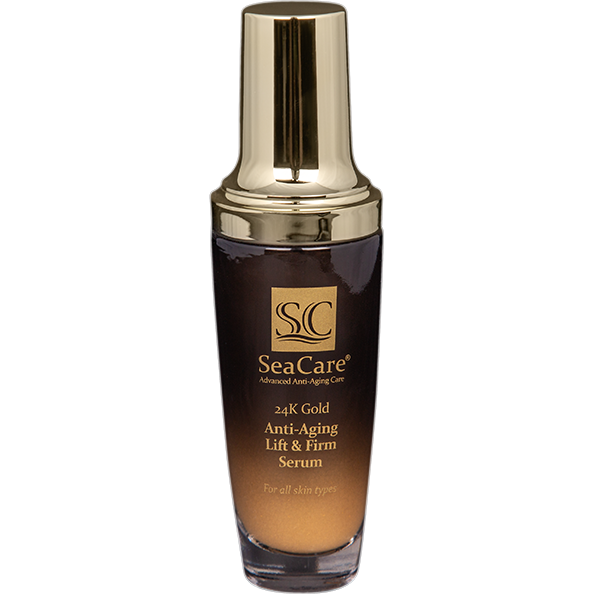 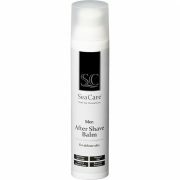 Light in texture and quickly absorbed, this formulation is enriched with 24 Karat Gold Powder, a luxurious active ingredient that delivers immediate feeling of beautifulness. 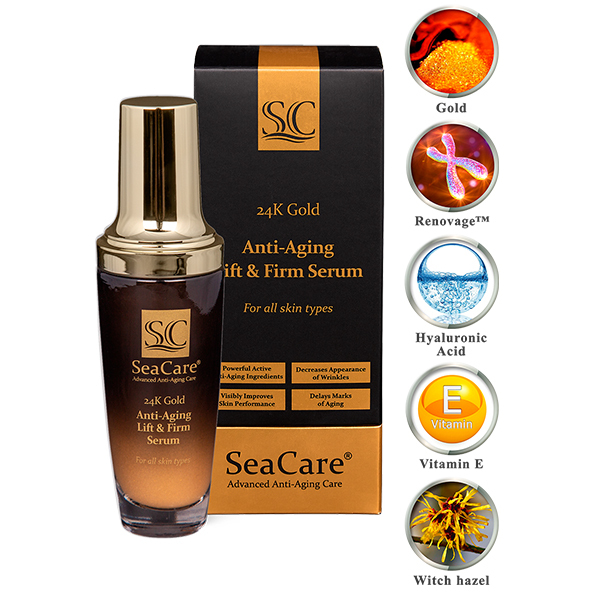 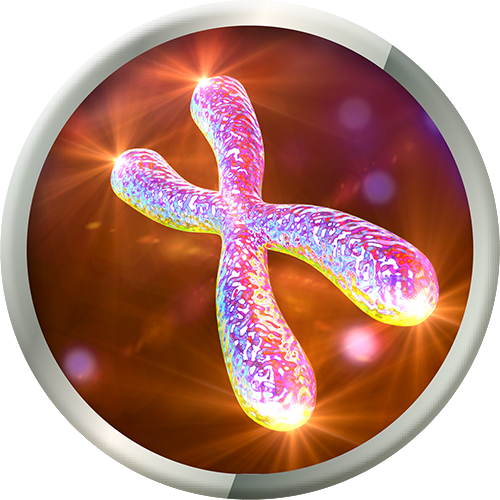 The serum contains Renovage™, a powerful active anti-aging ingredient that delays and fights against all signs of functional and structural aging like skin sagging, age spots, dryness, dilated pores and roughness. 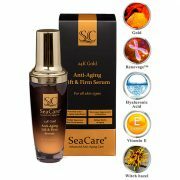 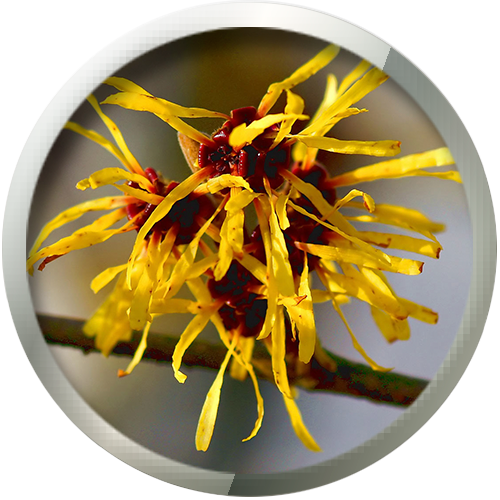 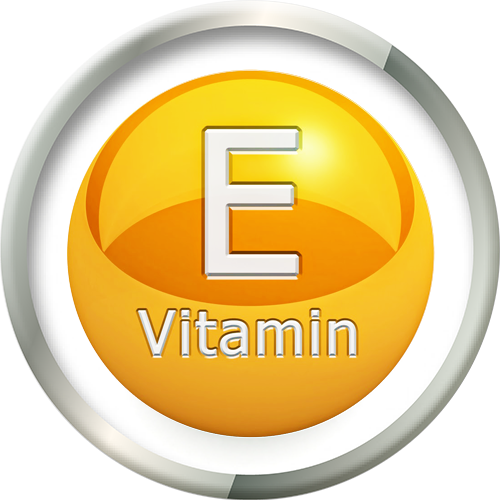 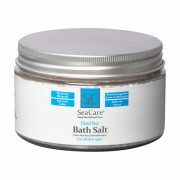 It also contains Hyaluronic Acid that keeps collagen synthesis up, as well as retains the skin moisture, contributing to the anti-aging benefits to the skin; Vitamin E, reduces wrinkles by blocking free radicals that play a large part in the aging process; Hamamelis Virginiana (Witch Hazel) Leaf Water, enhances the appearance of dry or rough skin, helps to reduce flaking and restores the suppleness of skin. 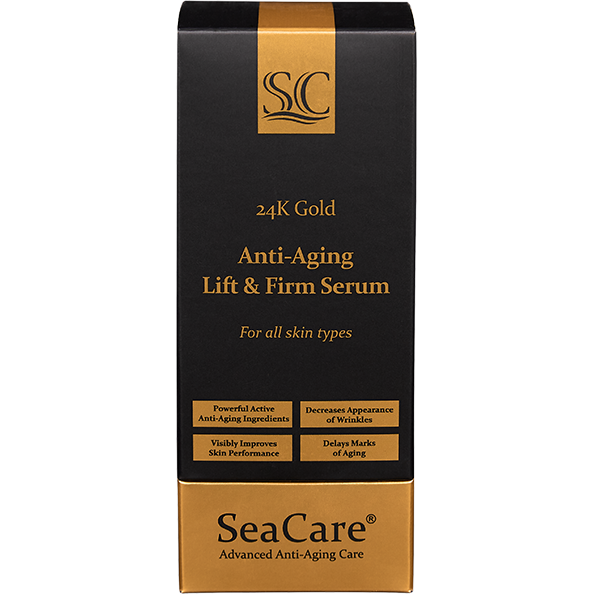 Regular use of SeaCare 24K Gold Anti-Aging Lift & Firm Face Serum will rejuvenate your skin by making it softer, decrease the appearance of wrinkles and delay the marks of aging. 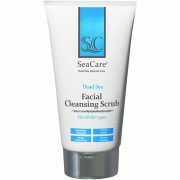 DIRECTIONS: Apply a few drops on cleansed face. 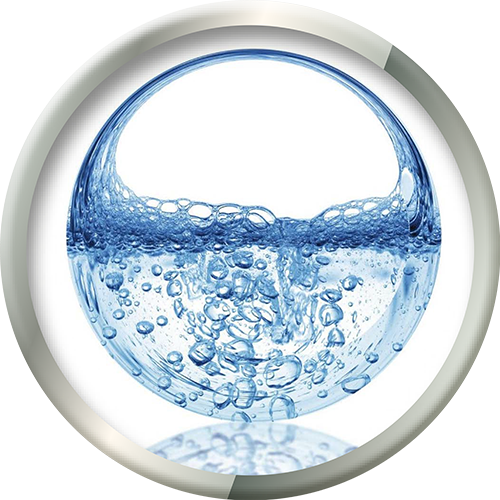 Tap gently until absorbed. 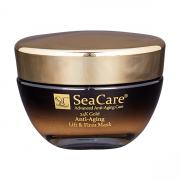 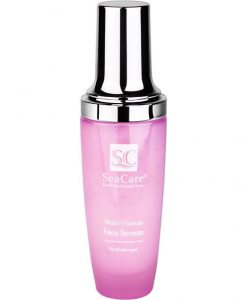 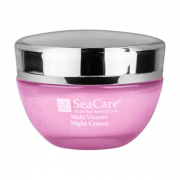 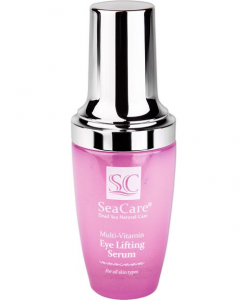 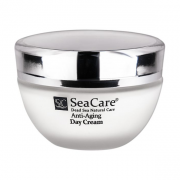 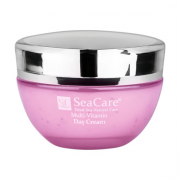 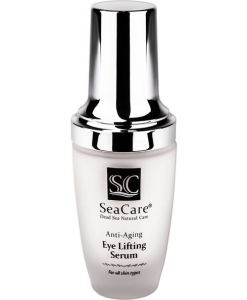 For maximum effect, wait until the serum is absorbed, and apply SeaCare 24K Gold Anti-Aging Lift & Firm Cream. 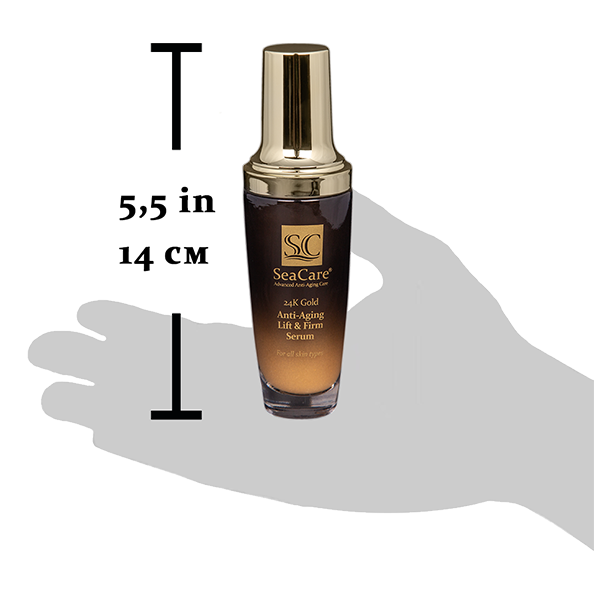 The serum also can be used as a unique under makeup primer that creates a smooth surface for your makeup.